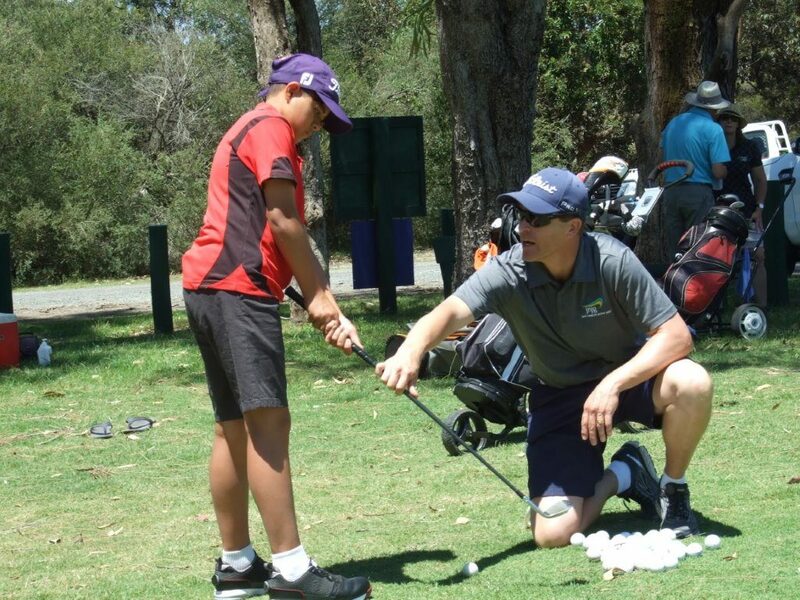 The biggest Junior Masters field in recent history made Bathurst a popular place last weekend as a capacity field of 224 junior golfers from across the state took part in the 2019 Peter O’Malley Junior Masters at the Bathurst Golf Club. 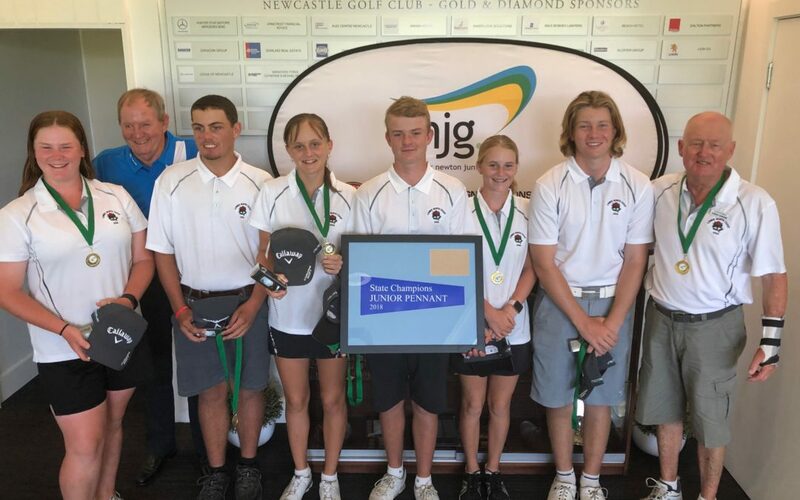 Tournament Host Peter O’Malley was in town over the weekend to watch the talented juniors play on the golf course he grew up learning on himself and with some rain falling in Western NSW over the past week, the golf course was in fantastic condition. Three of our junior made the journey west to compete. 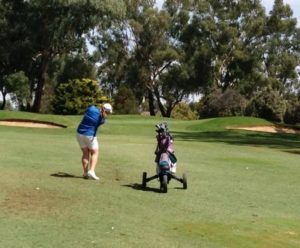 Ella Scaysbrook (Port Macquarie) – Rounds of 80 & 81 for a Total: 161 – Placed 15th Overall, 5th Girls 12 & 13 Years Gross & Tied 6th in Nett. Ella’s round included an impressive 19 Pars & 9 Birdies. Quedesha Golledge (Kew) – Rounds of 83 & 45 for a Total: 128 – Placed Tied 18th Overall, Tied 5th Girls 14 & 15 Years Gross & Tied 8th in Nett. Quedesha’s round included 8 Pars & 3 Birdies. 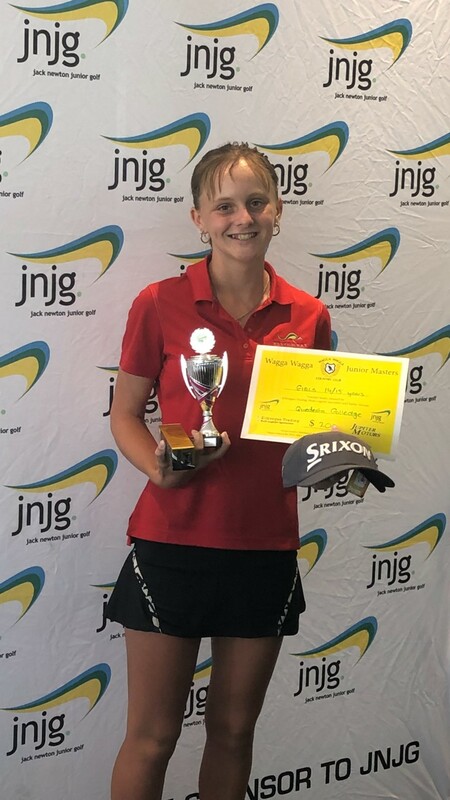 Madeleine Laws-Farrell (Port Macquarie) – Rounds of 92 & 41 for a Total: 133 – Placed 22nd Overall, 9th Girls 14 & 15 Years Gross & 7th in Nett. Madeleine’s round included an impressive 3 Eagles, 4 Birdies & 6 Pars. 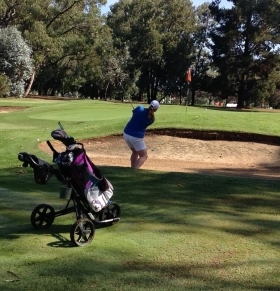 Congratulations Audrey Crow on becoming a Life Member of Women’s Golf Central North Coast. In 1961 Audrey joined Liverpool Golf Club located at Casula. This was one of the first Clubs to allow Lady Members to play on Saturdays and to wear shorts and long socks in a competition. In 1964 Audrey joined Rugby League Country Club at Narellan when it first opened and the dress code was the same as Liverpool. During Audrey’s 20 year’s membership at RLCC she held positions as Committee person, Assistant Handicap Manager, Vice-Captain and Ladies Captain. Audrey also played Pennants in the Nepean Illawarra District. During this time Audrey also became a member of Bankstown Golf Club and Ryde Parramatta Golf Club playing on Sundays. In 1984 Audrey moved to the Mid North Coast and became a members of both Wingham and Taree Golf Clubs. Audrey represented Wingham at both Pennants and Assef Bowl and served on the Taree Committee for a year. Audrey joined Forster Tuncurry Golf Club in 1989 and is still a playing member. During this period Audrey served as Lady Captain on 2 separate occasions over a period of 6 years and also on the Board of Directors for 5 years. In 1966 GNSW commenced courses for Rules Accreditation and she was the first member of FTGC to become an Accredited Rules Official. In 2002 Audrey was invited to attend the NSW Golf Open at Horizons Resort as a “Walking Rules Official” for the four rounds. On the final day Audrey had the honour of walking with the leading players group. Audrey joined WGCNC Committee in 1993 and has served on Committee on 2 separate occasions, holding positions of Chair of Match, Assistant Treasurer and Treasurer which position she held for 5 years until her retirement in 2008. During this time Audrey played Pennants for FTGC and also represented the CNC at all the Southern District matches. Following Audrey’s retirement from WGCNC she suggested to the Committee that she would be willing to stay on as a co-opted representative, which CNC agreed to and has continued until 2018 as an assistant Pennant Advisor, when after a lot of deliberation decided that she would retire from the position which she really loved. When President Kay Woolcock announced Audrey’s retirement from the Pennants at Tuncurry Open Day, many players thanked Audrey for her dedication to CNC and Pennants and said she would be missed. 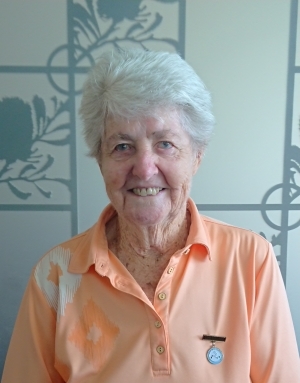 Audrey is a very worthy Life Member of Women’s Golf Central North Coast, in recognition of the past 57 years which she has devoted to Golf and the administration thereof in numerous Clubs and particularly the last 25 years to WGCNC. 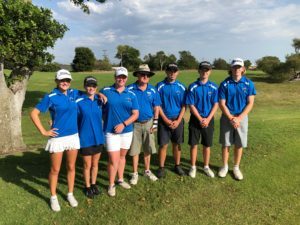 The 2019 Junior Masters series started last weekend, with a full field of 128 players taking part in the Wagga Wagga Junior Masters. Long-time sponsors Kilbrogan Trading joined by Jupiter Motors will support the first of 10 events on the Junior Masters calendar. Srixon Sports Australia have also once again supplying prizes for the events. Wagga Wagga Country Club hosted events in the lead up to the weekend, including a 9 hole “Warm Up” on Friday afternoon, the JNJG Shoot-Out in the evening, followed by a BBQ and Movies by the Moonlight. Jack Newton was also in attendance all weekend. 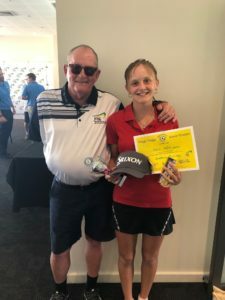 It was his first time at the Wagga Wagga Junior Masters and he is looking forward to attending all of the club organised events and watching the juniors compete. 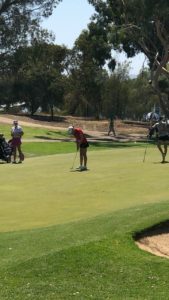 Quedesha Golledge (Kew) was the only girl from our region to attend and had a very successful weekend taking out the Girls 14 & 15 Years Gross Winner & placed 6th Overall in the Girls Championships. 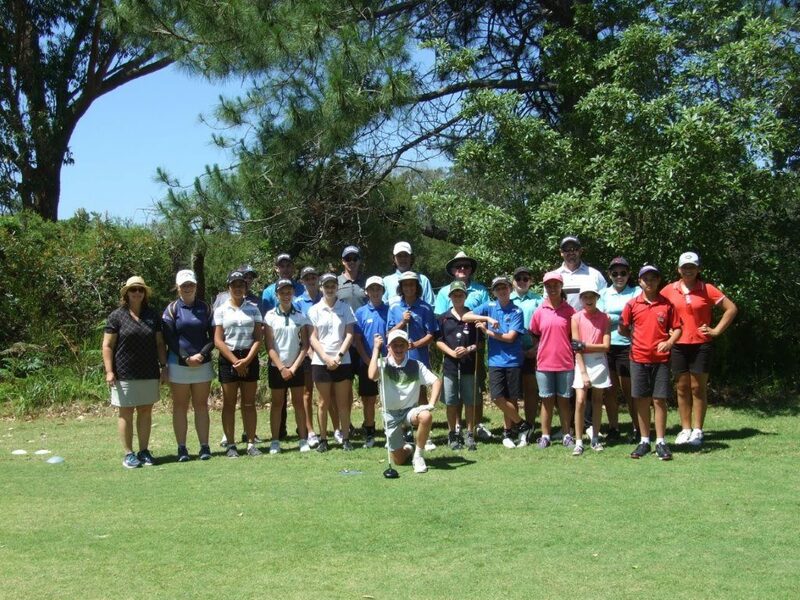 On the weekend of the 1st & 2nd December 2018 WGCNC & LNCDGA hosted its first combined Boys & Girls Golf Development as a trial in the Lower Coast Region. Ten girls & Eight Boys booked in to attend the Tuncurry camp. 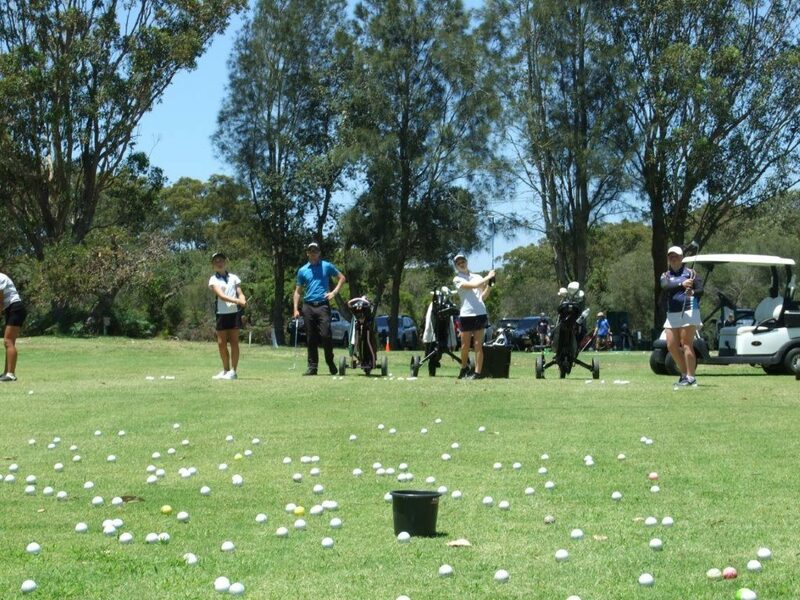 Mark Ingrey (JNJG Territory Manager), Daniel Newton (Professional Tuncurry) & Brandon Connor (Professional Coffs Harbour), conducted the coaching on the Saturday, together with the assistance of LNCDGA representative Howard Burrows and WGCNC representative Catherine Robinson. The juniors were split into 3 groups and moved around between the coaches. Mark concentrated on chipping techniques, Daniel on putting drills & distance control & Brandon on Iron shots – grips, setup & alignment. After lunch the juniors had an Etiquette & Rules session run by Howard Burrows with particular attention to the new rules coming in 2019. The juniors then headed out onto the course to practice shot selection, etiquette and scoring in preparation for the tournament the next day. On conclusion of the day’s activities, the juniors were treated to Pizza’s and presented with a small gift. Sunday morning, we again gathered to participate in the Taree junior tournament. Everyone enjoyed the tournament with plenty of support & prizes for all participants. 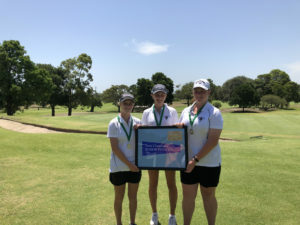 During the 18-hole presentation the WGCNC District Champion was awarded for 2018: Gross Winner was Pyper Hollis (Kew) & Nett Winner was Madeleine Laws-Farrell (Port Macquarie). Again, the camp would not run successfully without the commitment of WGCNC, JNJG & Coaches, for which the juniors and their parents are very grateful.